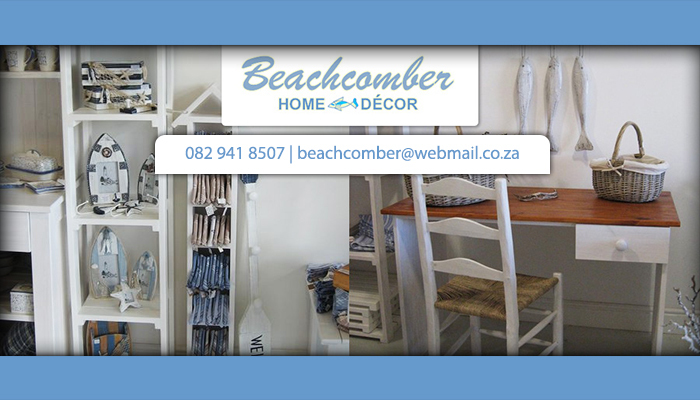 Beachcomber Home Decor specialises in the manufacture and supply of fashionably rustic furniture and interior decor items for the home. Our furniture has been created to symbolise the Cape seaside, and is perfect to furnish a beach home or seaside apartment in need of a relaxed atmosphere. 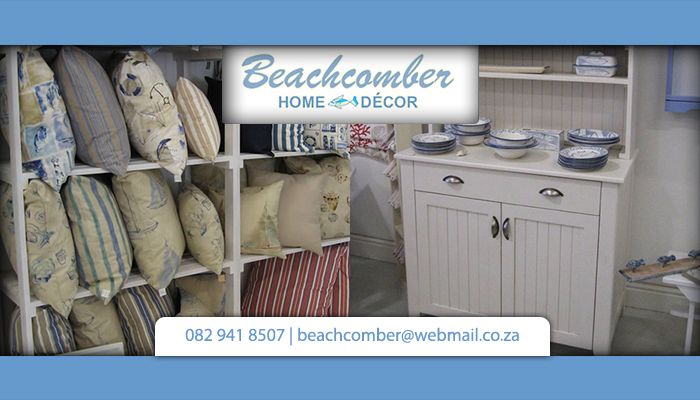 The Beachcomber brand was established in March of 2005, at the prestigious Design for Living Show at Cape Town’s V&A Waterfront. 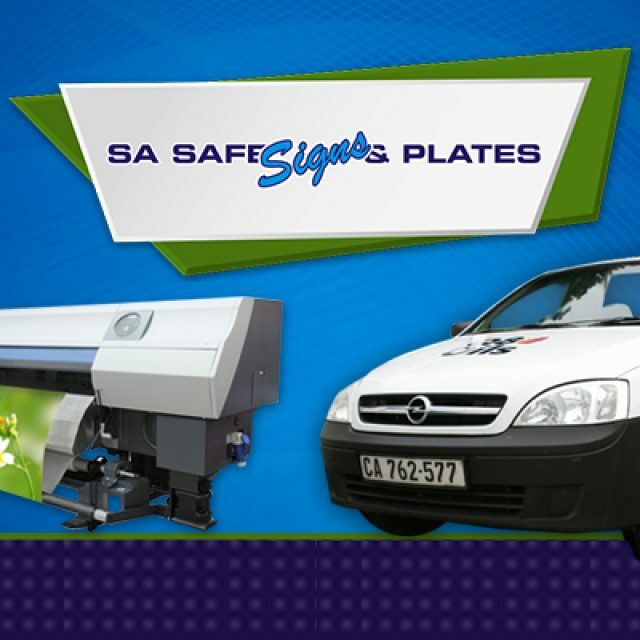 Since these early beginnings, clients have come to know us as providing unique, beautiful designs. 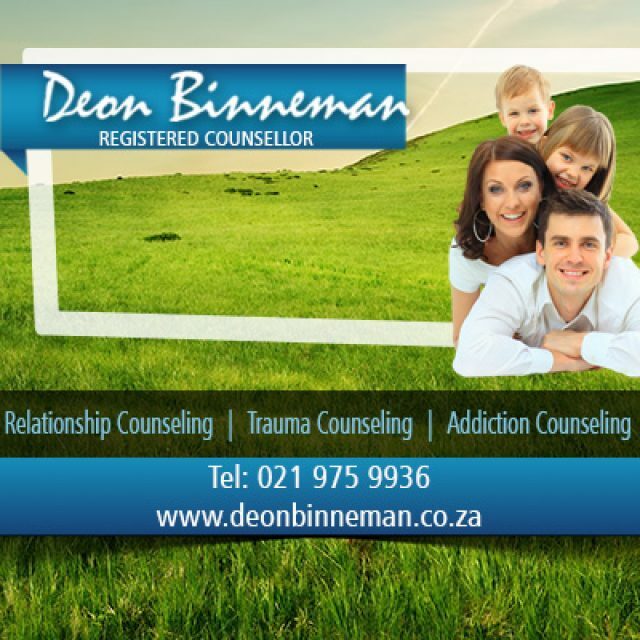 We can be found in Somerset West, at the Decor Centre near the Somerset Mall. 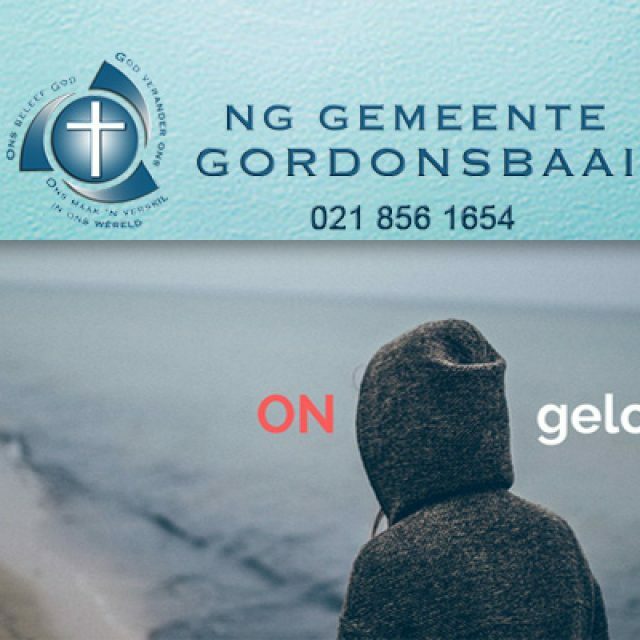 Beachcomber clients will be pleased to find a stunning variety of furniture and decor items in store, such as gorgeous indoor and outdoor furniture, including beds, couches and outdoor furniture. We are also one of the most popular providers of rustic, sea-sprayed décor, that is sure to enhance the laid-back luxury of beach front living. We also stock a range of beautiful accessories which add a unique flair to any room – both inside and outside! Clients can spend hours browsing through our collection of one-of-a-kind table cloths, bed linen and upholstery, all of which are created to add a touch of seaside magic to the home. 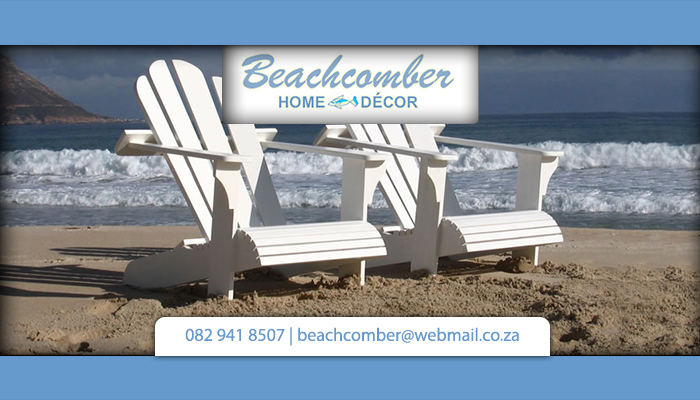 Beachcomber – your number one decor store! 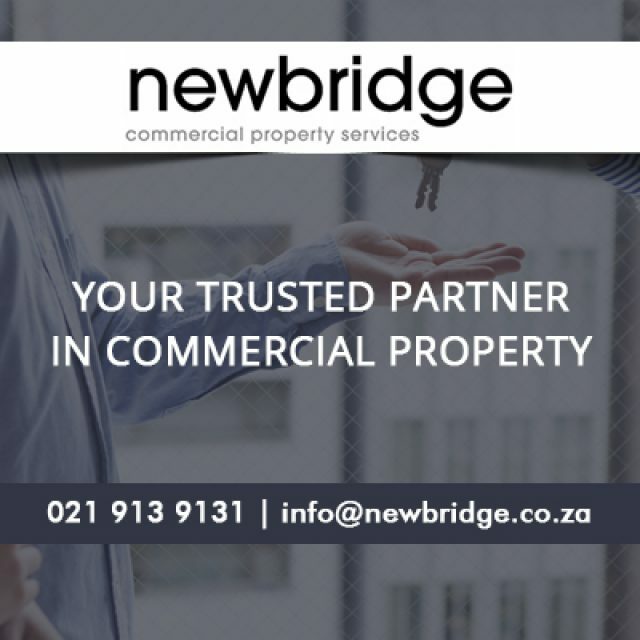 Visit us soon to update your home.